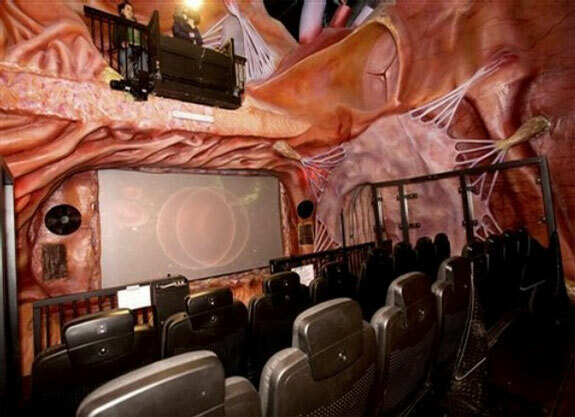 Your Fantastic Voyage through the museum starts with an escalator ride into an open sore on your giant victim’s leg and ends among the pulsing neurons in his brain. Between those two points, you will watch cheese being digested in the intestines and explore the ventricles of the heart. 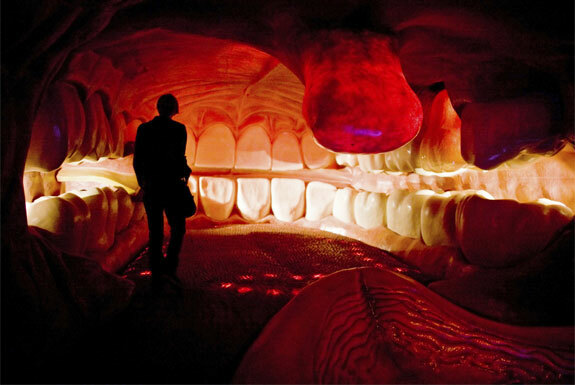 Your kids can bounce up and down on the rubber tongue (they’ll love the background burping noises) while you take in various scents wafting through the giant nose. Perhaps the most unusual display is the hologram of sperm fertilizing an egg, viewed via 3D glasses. 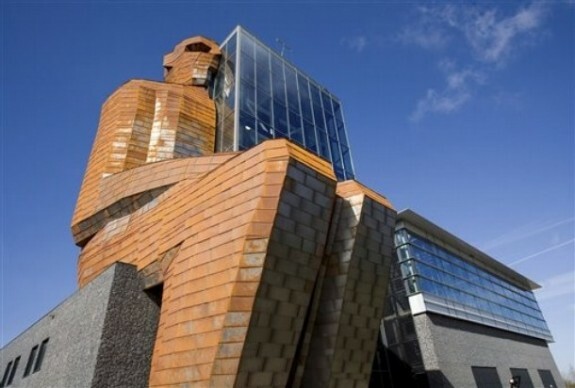 The creators of the Corpus hope the experience of the museum compels visitors to live healthier lives. 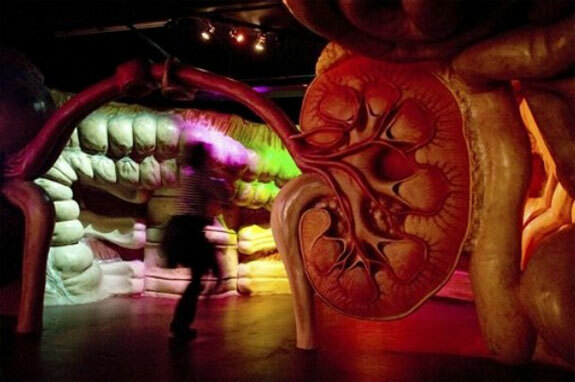 One thing is for certain: After a visit through the Corpus Museum, you’ll never look at a human body the same way again. Pig Acupuncture Models and 7 Other Bizarre Items You Can Buy on Amazon – really! « No Shoes. No News. 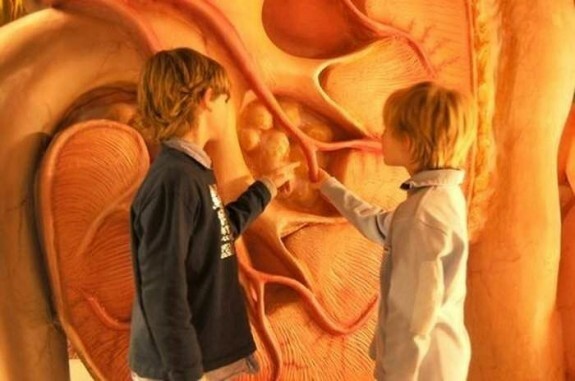 This is a very realistic experience and a great way to learn about your body. Just got back from Amsterdam and made it to the Corpus Museaum (about a 30 minute ride) NICE! It’s a Guided “ride” type tour with headphones available in all the different languages! The kids LOVED it and refer to what they learned there as they experience their natural body reactions! It was enthusiastically narrated in my own language. The illuminated transitions from one part of the body to the next flowed naturally and easily. My younger son’s favorite parts were the red cell “gummy” and running around on the tongue! Highly recommend it! Thanks so much for your trip report! So glad you liked the Corpus. It really is cool! I saw this building on my way to the beach last year in September and was completely taken aback. Whenever I asked any Dutch person what that “red-man building” was along the highway towards the beach, no-one knew what I was talking about. I guess because it was so new. Finally one of the people Io asked emailed me this link. 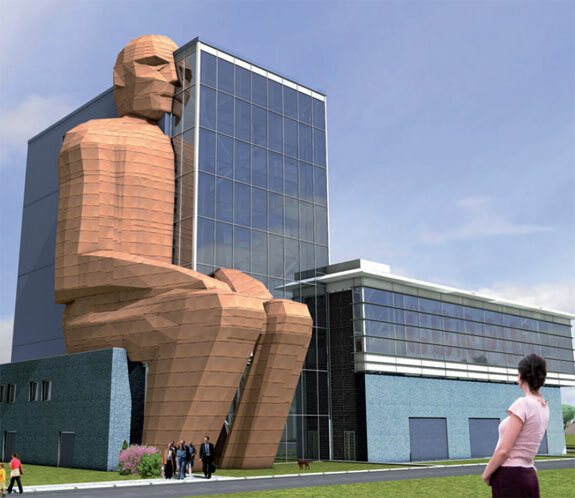 I can’t wait to get a chance to go to Holland again and visit the Corpus Museum! Had I known what it was, I wouldn’t have missed it last year! Too bad! This is so amazing! And I’m going to Amsterdam in three weeks! !